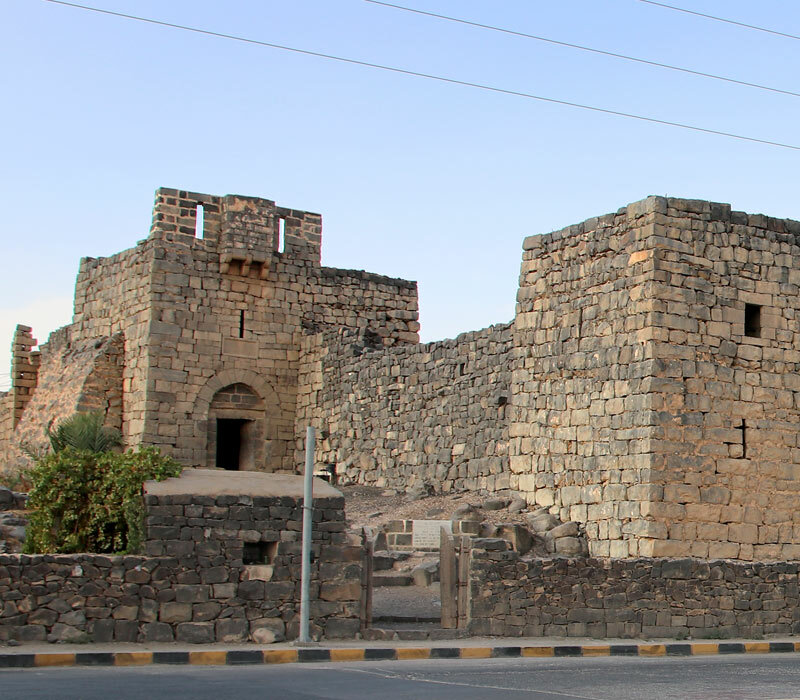 The black basalt fort, strategically located in the middle of the Azraq oasis, and on a major desert trade route, has been in continuous use since it was built by the Romans in the 3rd century AD. The Umayyad caliph Walid II transformed it into his favorite hunting residence in a time when the wetlands nearby offered an extraordinary rich wild fauna. The mosque in the courtyard, the well and the stables are from this period. The Ayyubids improved its fortification in 1237 as defence against the Crusaders - dated in an inscription above the South entrance gate. In the 16th century, an Ottoman garrison was stationed there. 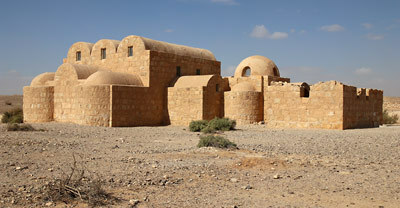 During the Arab Revolt against the Ottoman empire, Qasr al-Azraq served as winter headquarters for the British officer and writer T. E. Lawrence (Lawrence of Arabia), his Arab counterpart Sharif Hussein Bin Ali and followers, while preparing their military activities which culminated in the capture of Damascus from the Turks in October 1918. The fort has a square structure with 80 m long walls encircling a large central courtyard. The main entrance gate through the South tower consists of two massive basalt slabs, which can still be moved easily. In this tower T. E. Lawrence had his room overlooking the entry. 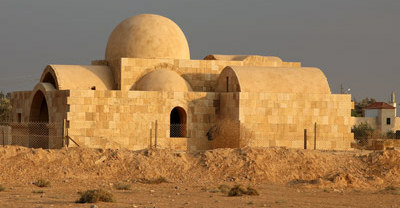 He wrote about this experience in Qasr al-Azraq in his famous autobiographical account Seven Pillars of Wisdom.